In the 1980s, “Bros” were one of the biggest bands in the world – for 15 minutes. Having sold out stadiums around the world, they were the youngest to this day to play Wembley and their “Push” album went to Number 1 in over 20 countries, selling 10 million copies worldwide. The rise and fall of Bros was meteoric. 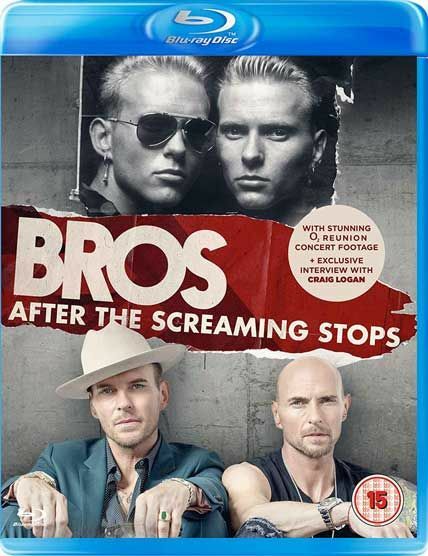 This film charts twins Matt and Luke Goss’s reunion 28 years on, having hardly spoken and not played together since their split. With an incredibly fractured relationship and only 3 weeks to go until sell-out gigs at The O2 London, will they be able to put their history aside and come together as brothers to play the show of their lives? A raw and emotional look into the aftermath of fame and the re-connection between two twins torn apart by their past.